Good morning everyone...well that's the first week of January done and dusted and we are already moving onto our second challenge of the year...my how times flies! We have had a huge amount of snow here in the UK this week and although it has made the countryside look very pretty it has caused chaos on the roads and made sure that a lot of the schools remain closed! Thank you to everyone who entered last weeks challenge to make a baby card...we had an amazing amount of entries and there were so many different styles and cute images...we really enjoyed visiting your blogs to see your creations! 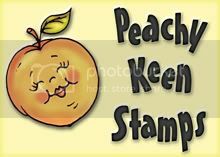 Don't forget to pop back later to see who has won the $20 gift voucher from Simon Says Stamp and also to see who Denise has chosen for the Top 5 winners! 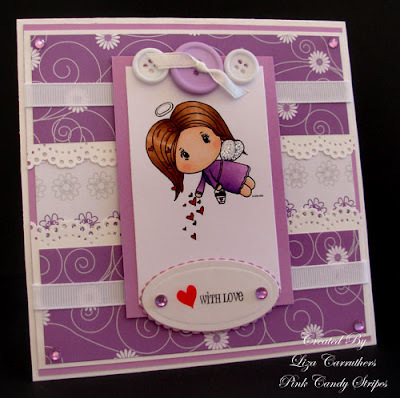 Another really easy theme for you this week...all you need to do is make a really girly card...or any project of your choice...we would love to see you going mad with your ribbons...flowers...charms and glitter...the more girly...the better! 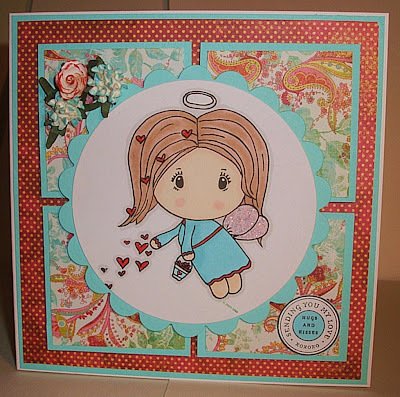 The design team have made some gorgeously girly cards this week and if you want to find out how they made them you can click on their name above their creation or in the sidebar to go directly to their individual blogs...they would love for you to visit them and leave a lovely comment! I have been crafting all my life. 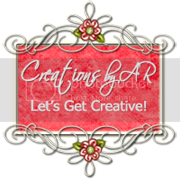 Ever since I can remember I have made/created things..I really started “Scrapbooking/Card making” in 1996 when my dear friend Lisa Bearnson introduced me to her new magazine Creating Keepsakes.. after that I was HOOKED! 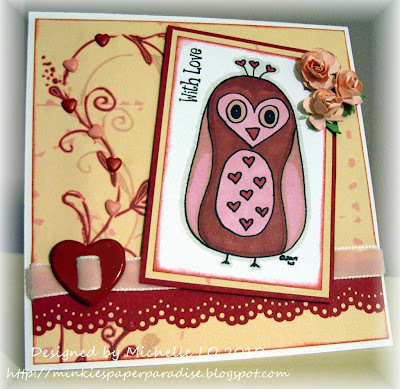 I do both scrapbooking and card making, I enjoy each for different but similar reasons. I love to create, design, and do anything with my hands. 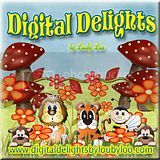 I have never taken any kind of art class (though I should have) but I have just started my love for Digi Stamps. I have found I have a special place in my heart for drawing, and if I can share them in the process. I am happy to do that! I have a wonderful husband who I love and cherish. He is AMAZING! We have two beautiful children. Stretch who is 9 years old and Bubbles who is 15 months old… that’s where I got my blog name. The names came from my dad Poppie who gives each of the grandchildren “magic names” after they are born so those are their magic names and we love them! I hope to inspire you with some of my designs. 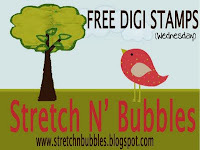 Stretch 'N' Bubbles are offering 1 lucky winner the chance to win 4 Digi Images which can be chosen from the Stretch 'N' Bubbles blog PLUS they are also offering a free digi image to each of our top 5 winners! 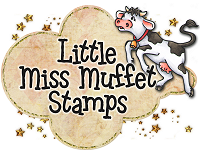 Make sure that 'Cupcake Crafts' are linked in your post...if you don't mention us in your posting then your link entered with Mr Linky will be removed and you will not be eligible for any prize(s) offered by our sponsors! 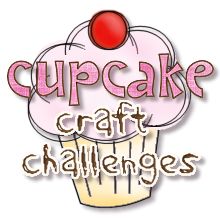 What a fab challenge - I LOVE girlie challenges! Great designs from the DT. 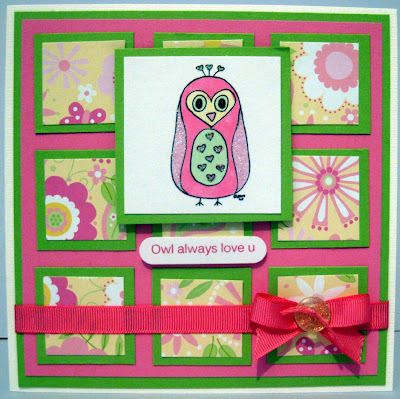 Great challenge love girly cards. Adorable cards from the design team and such a generous sponsor! Thanks once again for the challenge. 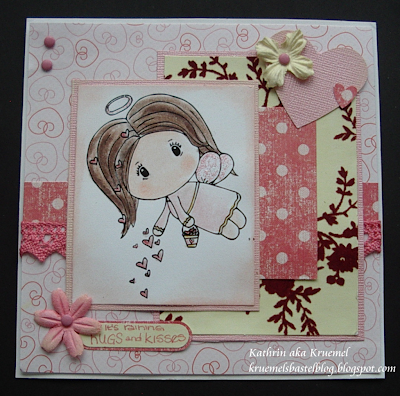 wonderful girly girl cards. This should be fun! Will get mine posted later! Great challenge and lovely DT-work! Thanks! The DTs creations are Fab! Lovely girly cards!!! I just posted my pink girly card. Hope you like it! Hi Girls, fab challenge, i hoep mine is girly enough!!! Awww, those images are cute cute cute!! Great samples and a fun challenge!! Fun challenge and beautiful DT cards - thanks! Loving the girlie ideas, great challenge! This is my favorite challenge yet!! Love the girlie stuff, thanks ladies! This was a really challenging challenge, as I am not (and never have been) particularly girly. I grew up as an honourary boy, and my favourite colour has always been blue!! However that's what challenges are all about LOL! Loving girly every time I make a card!! thanks for the challenge! this was a fun one! i love all the DT cards..that owl is so cute!!! Great cards and fun challenge! My first time playing along! My Going Girly card has been posted! Hope you will check it out! lovely samples and fun theme :) thanks! This is just a popular challenge! I am not surprised, I loved it as well. Thank you for the greatcreations of the DT. Petra.